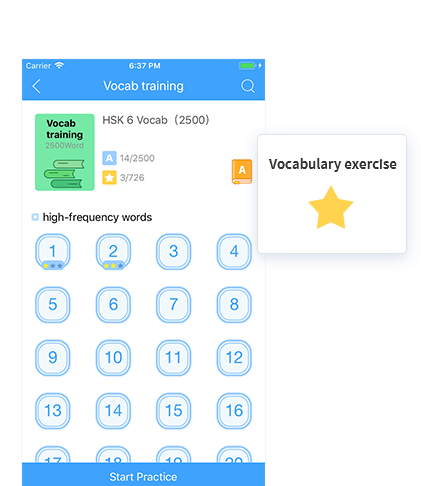 HSK (Level 6) examines candidates' Chinese application ability, which corresponds to Level 5 of Chinese Language Proficiency Scales For Speakers of Other Lan-guages and Level C2 of the Common European Framework (CEF). 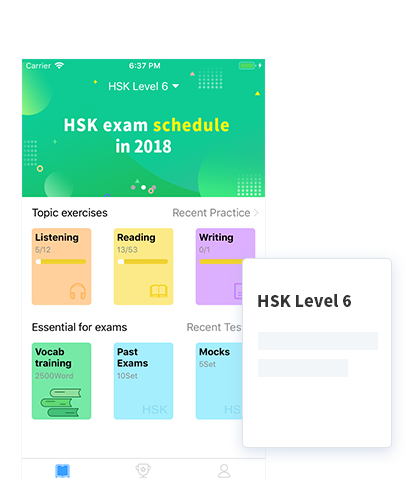 Candidates who have passed the HSK-6 can easily understand what they hear and read in Chinese and express their opinions fluently in Chinese, either in oral or written form. With HSK-6, candidates can apply for the best universities in China and have great opportunities to get scholarships. The whole test takes about 140 minutes (including 5 minutes for candidates to fill in their personal information). Candidiates need to master 5000 common words.